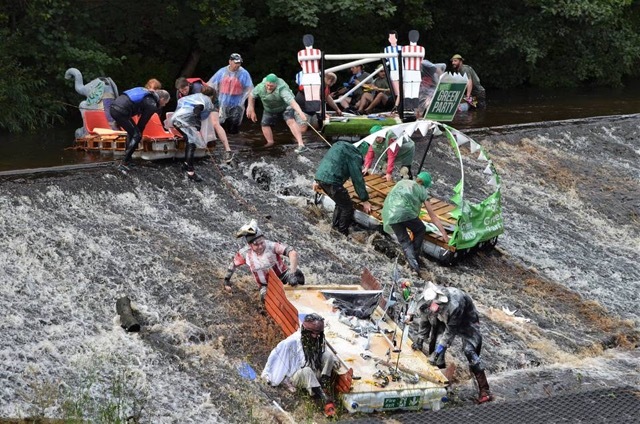 Sheffield Greens survive the Raft Regatta on the River Don! 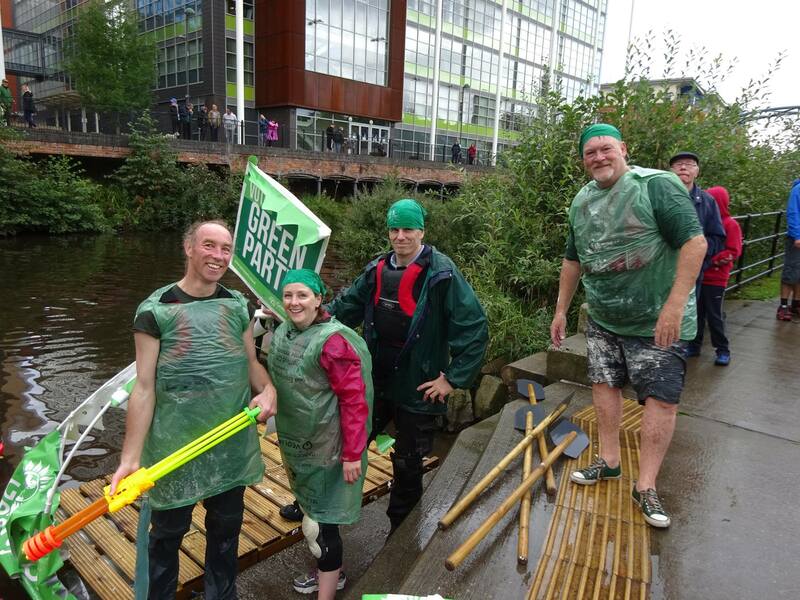 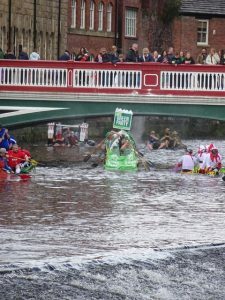 Manor Castle stars Kate Griffin and Brian Holmshaw teamed up with City Ward Councillors Douglas Johnson and Rob Murphy to pilot the Green Party raft in this years regatta at Kelham Island. 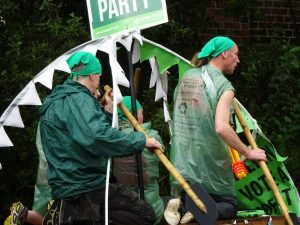 The boat was beautifully crafted with a massive Vote Green sail. 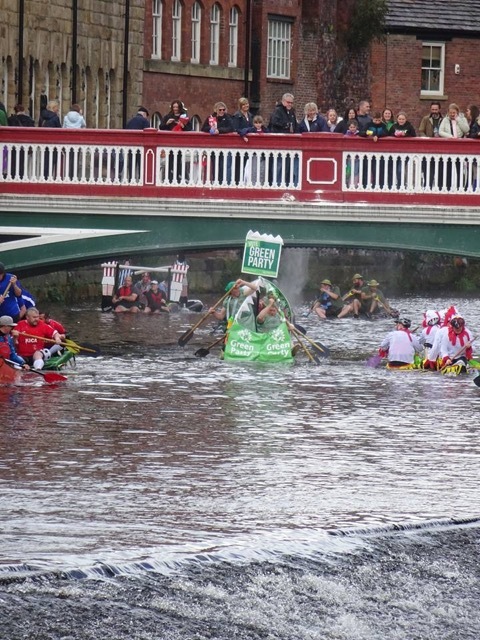 Unfortunately this didn’t fit under the bridge! The team lived to tell the tale after capsizing and getting a thorough Don drenching. Such resilience in adversity shows what our Green Party campaigners are made of!